About: Union Public Service Commission Civil Service Examination (UPSC CSE) is a national level entrance examination conducted by the Union Public Service Commission for recruitment to various Civil Services of the Government of India, including the Indian Administrative Service (IAS), Indian Foreign Service (IFS), Indian Police Service (IPS) among others. Conducting Authority: UPSC CSE is conducted by Union Public Service Commission. The Government of India recruits its civil servants and officials on the basis of merit, the middle management positions in the bureaucracy are buried through competitive exams. Prelims Exam (CSAT): The prelims exam consists of MCQ's and the syllabus is General Studies & Engineering Aptitude Syllabus. Mains Exam: The mains exam consists of MCQ's and the syllabus is Mental Ability, General Studies & Engineering Aptitude Syllabus. Personal Interview: Candidates who qualify the UPSC Mains Exam will be called for the Personality Test/ Interview. UPSC 2019 Latest News: UPSC will allow candidates to withdraw their Applications starting from the year 2019. This step has been implemented observing that about 50% of candidates who fill the Application Forms do not attend the exam. Such candidates can withdraw their applications. However, fees will not be refunded by UPSC. History, Polity, Geography and Agriculture, Science and Technology, Ecology and Environment, Economics, Arts and Culture, Social Welfare and GK. Get more information about dates in UPSC CSE 2019 Important Dates section. Candidate must have passed a Bachelor's Degree in any discipline from a recognized university or from the Central Government of India. Candidates who are pursuing there a final year or appearing for the final semester are also eligible to apply. The minimum and maximum age limit of the candidates must be 21 years and 32 years respectively. The relaxation in the upper age for the candidates of the SC and ST category will be 5 years and for the OBC category will be of 3 years. Get more information about eligibility in UPSC CSE 2019 Eligibility section. Preliminary Syllabus: The prelims section of UPSC CSE covers questions from History, Polity, Geography and Agriculture, Science and Technology, Ecology and Environment, Economics, Arts and Culture, Social Welfare and GK. Mains Syllabus: UPSC CSE Syllabus for Mains assesses a candidate’s academic expertise in his specialized subject. It also tests his ability to present knowledge in a clear and coherent manner and his overall intellectual traits and understanding of concepts. Note: If the UPSC is for Engineering, Medical Science, and law, the level corresponds to the Bachelors’ Degree. Get more information about syllabus in UPSC CSE 2019 Syllabus section. Get more information about exam pattern in UPSC CSE 2019 Exam Pattern section. Registration Fee: General/ OBC category candidates (male) have to pay INR 100 for Preliminary Exam and INR 200 for Mains Exam and for SC/ ST/ PH/ Female candidates are exempted from Registration Fee. Upload of Documents: Candidates have to upload there recently taken passport size photograph and signature. Get more information about the application form in UPSC CSE 2019 Application Form section. Exam Centres: There will be 2 different Exam Centre one is to conduct the Preliminary Exam and the other is to conduct the Mains Exam. No. of Centres: The Preliminary Exam consists of 72 centres across India and Mains Exam consists of 24 centres across India. Get more information about test centres in UPSC CSE 2019 Exam Centre section. Document for Proof: Candidates will not be allowed to appear for the exam unless he/ she produces the hall ticket from the UPSC website at the exam centres along with ID proof in original & a photocopy of the same. Note: The Admit Card will not be sent through the post for any of the candidates by the authority, the should download by themselves from the official website. Get more information about the hall ticket in UPSC CSE 2019 Admit Card section. Answer Key: Union Public Service Commission releases Civil Service Exam Answer Key within the time period of one month after the completion of exam. Mark Sheet: UPSC releases the Mark sheet of Exam for both Preliminary and Mains exam. Mark sheets are released after the declaration of UPSC CSE Results for all the candidates who appeared. Candidates willing to check their mark sheet can log-in using their roll number and date of birth. Cut-off: IAS Cut off is the minimum marks that a candidate must score in order to seek recruitment. The cut off varies for all different categories. It will be decided by UPSC. Get more information about the results in UPSC CSE 2019 Results section. CANDIDATES TO ENSURE THEIR ELIGIBILITY FOR THE EXAMINATION: The Candidates applying for the examination should ensure that they fulfil all eligibility conditions for admission to the examination. Their admission to all the stages of the examination will be purely provisional subject to satisfying the prescribed eligibility conditions. Mere issue of admission certificate to the candidate will not imply that his/ her candidature has been finally cleared by the Commission. The Commission takes up verification of eligibility conditions with reference to original documents only after the candidate has qualified for Interview/ Personality Test. LAST DATE FOR RECEIPT OF APPLICATIONS: The online Applications can be filled up to 6th March 2018 till 6:00 PM. The eligible candidates shall be issued an e-Admission Certificate three weeks before the commencement of the examination. The e-Admission Certificate will be made available in the UPSC website [www.upsc.gov.in] for downloading by candidates. No Admission Certificate will be sent by post. FACILITATION COUNTER FOR GUIDANCE OF CANDIDATES: In case of any guidance/information/clarification regarding their applications, candidature etc. candidates can contact UPSC’s Facilitation Counter near gate ‘C’ of its campus in person or over Telephone No. 011-23385271/011-23381125/011-23098543 on working days between 10.00 hrs and 17.00 hrs. The use of any mobile phone (even in switched off mode), pager or any electronic equipment or programmable device or storage media like pen drive, smart watches etc. or camera or blue tooth devices or any other equipment or related accessories either in working or switched off mode capable of being used as a communication device during the examination is strictly prohibited. Any infringement of these instructions shall entail disciplinary action including ban from future examinations. Candidates are advised in their own interest not to bring any of the banned items including mobile phones/pagers to the venue of the examination, as an arrangement for safe-keeping cannot be assured. Candidates are advised not to bring any valuable/ costly items to the Examination Halls, as safe-keeping of the same cannot be assured. The commission will not be responsible for any loss in this regard. Preliminary Examination of the Civil Services Examination for recruitment to the Services and Posts mentioned below will be held by the Union Public Service Commission on 3rd June 2018 in accordance with the Rules published by the Department of Personnel & Training in the Gazette of India Extraordinary dated 7th February 2018. Q: I want to apply for multiple posts under UPSC CSE 2019. Am I allowed to do so? Yes. A candidate is permitted to apply for as many posts as desired under a single advertisement by paying separate application fees for the respective posts' exams and by filling their corresponding application forms. Q: How can the status of UPSC CSE 2019 application be checked after submission? 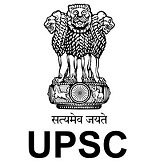 You can visit the official website of UPSC (www.upsc.gov.in) where a list of all submitted applications along with reference credentials will be displayed and check for the status of your application. Please note that no corrections can be made to your application once it is submitted. In case of any wrong entries, a new application has to be filled by paying the fee again. This new application will replace the old application. RID stands for Registration ID. TID stands for Transaction ID. Q: My payment status on the UPSC CSE 2019 Application Form says 'fictitious payment'. What does fictitious payment mean? When a candidate's payment status is termed as fictitious, it means that the designated bank has failed to authenticate the transaction. In such cases, UPSC updates those candidates via email. The candidates with fictitious payment issues must then submit a physical proof of application fee payment to the Commission either directly or by speed post within the time duration specified in the mail. Q: When will the UPSC CSE 2019 Admit Card be issued? The e-Admit Card is generally issued 3 weeks prior to the date of examination. Please make note that candidates will not receive any hard copy of admit card and all candidates appearing for the UPSC CSE 2019 Exam must download their e-Admit Card from the official UPSC website by entering either Roll number or Registration number. Q: What is the language medium used in the UPSC CSE 2019 question paper? Q: What is the selection procedure for posts listed under UPSC CSE 2019? Q: What are the contact details through which I can make my queries regarding UPSC CSE 2019?